This year, I really felt the need to “up my game” when it came to our music education. In the past, I have used online programs, and sent my kids to community music classes, but we had never done a music appreciation curriculum before. When our school year started, I sat down and researched programs (obsessively…. am I the only homeschooler that can waste hours looking at different programs??) and finally settled on Zeezok Publishing as the most promising program for everything I wanted to cover this year. I was more than thrilled (read: I jumped up and down and squealed at my husband) when they agreed to send me their Music Appreciation for the Elementary Grades: Book 1 collection to review. 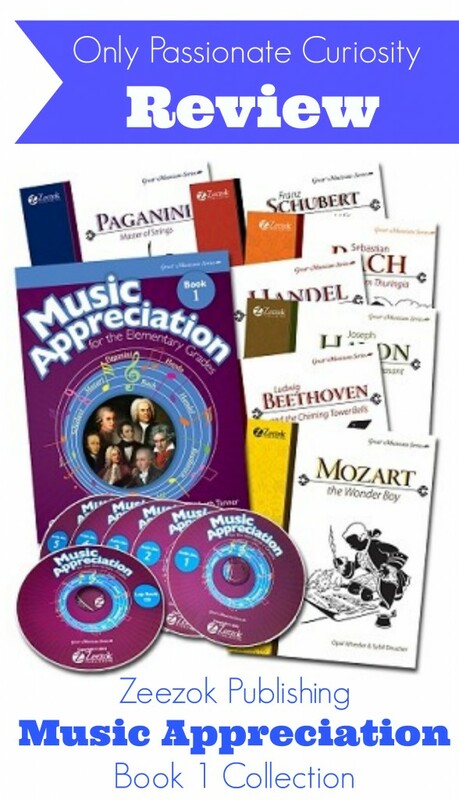 The Music Appreciation for Elementary Grades Book 1 Collection includes a student workbook, music appreciation CDs, a Lapbook CD, and seven reading books from the Great Musicians Series, one on each of seven composers. My favorite thing about this program is that it is easy to use with multiple children, across multiple grades at once. You’ll need one student workbook per child. Personally, I would recommend the workbooks only for kids in grades 3-6. If you want to use it with younger kids, you absolutely can, but you would probably want to use the workbook more as a teachers guide instead of having little ones try and write in it. In my family, I have a 3rd grader, a 1st grader, and a preschooler using the program. My oldest is using the workbook we received for the review to write in, and my younger two are tagging along for the hands on activities, and are using the coloring books (not included in the collection, but I recommend them!) as their workbooks. In our house, we start each music lesson all together at the table. I read the chapter of the Great Musicians Series while the kids color their coordinating page in the coloring book. There is an audio book option you can get from Zeezok (and, I am working on budgeting those bad boys in!) if you don’t want to read aloud or have your child read the selection. The Great Musicians Series books are incredibly well done, interesting, and child friendly. The reading level is appropriate for elementary age, but not overly simple (so, it’s pleasant for me also!). These are chapter books, with black and white illustrations throughout. The stories go beyond a basic biography of the composer, and really bring the life and times of these artists to life with interesting stories, history and tidbits which make the composers interesting for children. After we read, I look at the workbook, and we go over the comprehension questions verbally with all the kids. 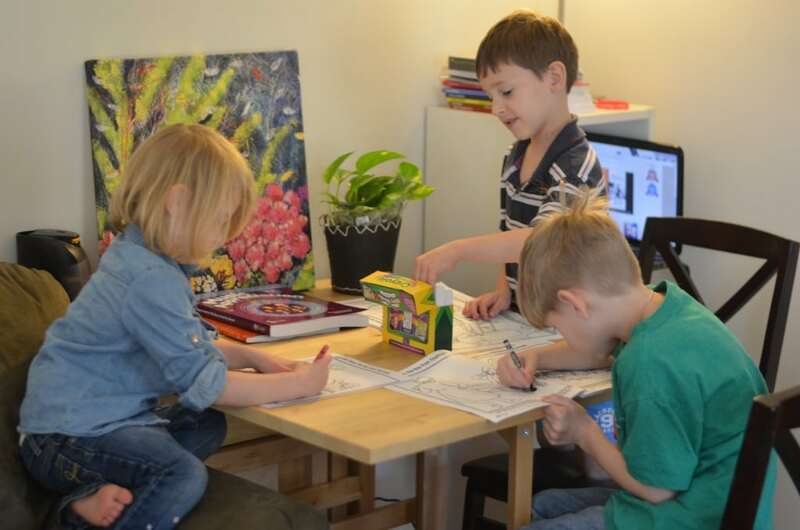 There is also a character qualities section which we discuss verbally which From there, I tend to send the little ones to play on the floor nearby while Bug gets to work on some of the worksheets from the workbook. I turn on the music appreciation CDs while Bug works and the Littles play, so they can become even more familiar with the composers work as they play. 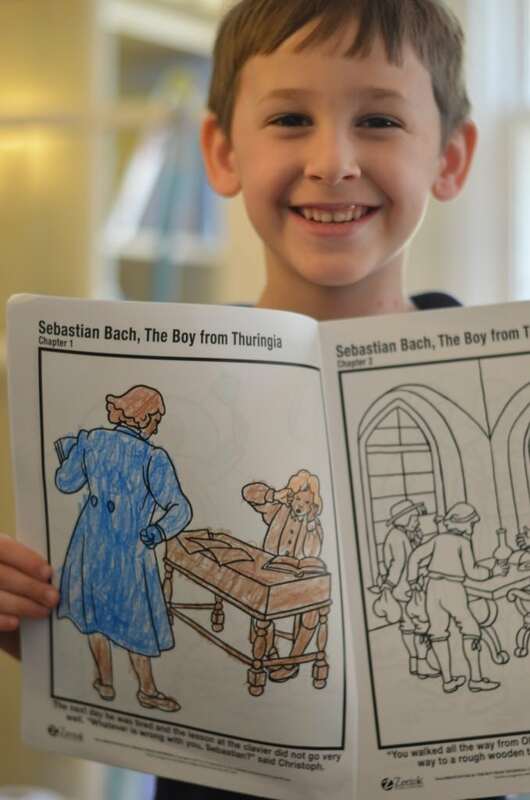 These activities in the workbook so far have been things like map work, reading descriptions of instruments and matching the descriptions to pictures, copy work, and reacting to a piece of music in a paragraph or picture response. In addition to the worksheet-type content, the workbook also includes additional textbook-like reading and information about everything from the composer, to history, locations and musical theory. Hands on activity instructions are also found in the workbook. Also included in this curriculum is a Lapbook CD with 100+ pages of PDF activities for your child to do. The lapbook components coordinate with the readings in the Great Composers Series, as well as the activities in the workbook. For example, one of the suggested activities is an oxidation experiment to explain why the cap of Saint Michael’s Church in Germany turned greenish-blue, and the lapbook has a tab book which coordinates with the experiment for your child to document their findings. This curriculum is really packed full of content. I can’t believe how much is here, and how much thought has gone into the program. It’s amazing to me how much I don’t know about music and composers, despite having learned bits and pieces about them throughout my own public school education (and, I am ashamed to admit, a college music appreciation course). The workbook is 300+ pages of information (on top of the hundreds of pages of reading in the Great Composers books) and it’s all meaty and interesting stuff! This program is paced at 4 weeks per composer, for a total of 28 weeks. That being said, personally, we are moving slower through the book than this recommended pace. This is a very complete program, with tons of quality content, activities, worksheet, lap-booking activities, and music to listen to, and I really wanted to take time to soak it all in. We do music 1-2 times a week, and at the pace we are going, I can see us taking 2 years to get through this book, which is alright with me! Right now, Book 1 is the only one available for purchase. There are many more composer biography books you can purchase, but there is not yet a workbook curriculum to go with them. Hopefully, one will be available in a year or two (it’s in the works!) and it will be directed towards a middle school student. Right now, my plan is to have Bug use the program as written, and Mr. Man will do the “gentle” version with the coloring book and tagging along. He’ll repeat the program more in-depth in a year or two, and then, hopefully, we can move on to Book 2. The Music Appreciation Book 1 Collection as shown in this review retails for $169.00. Coloring Books are sold separately for $5.99. Thanks for sharing your perspective on the Zeezok music appreciation curriculum. 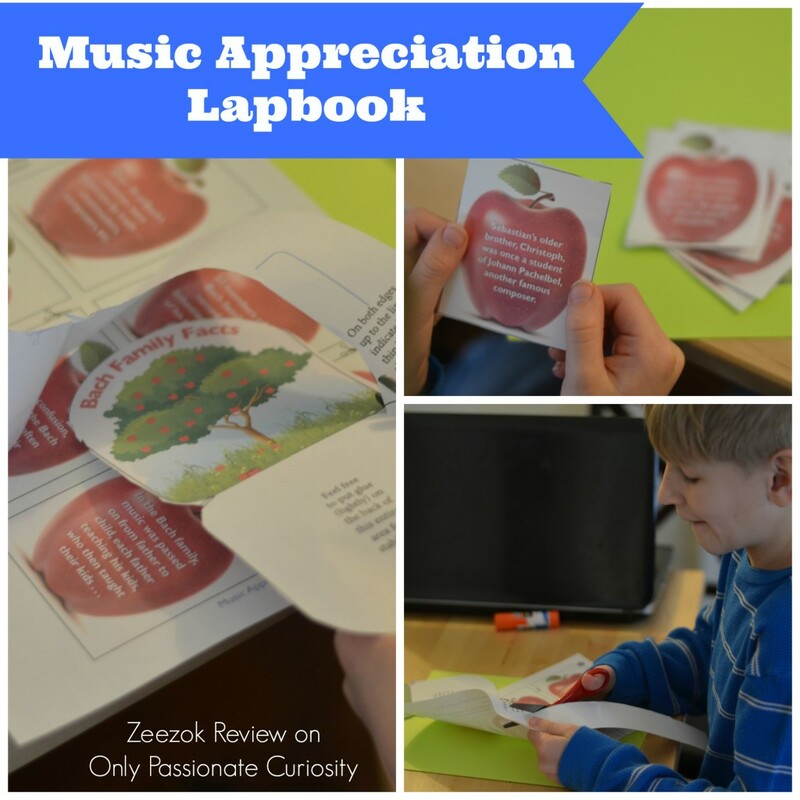 One thing we noticed about a lot of resources for homeschool music appreciation is the focus on classical music composers and facts about reading music. Do you think there is interest for additional music from around the world and different types of activities that involve children actively engaging in music such as composing or other activities? We’re in the process of creating resources for http://www.raisingcreativechildren.net and want to focus on what would be most helpful to people. I think there is ALWAYS a need for more music curriculum. If you create it, they will come. Or something like that. Good luck with your endeavor, and keep in touch- I’d love to check it out when you are finished!